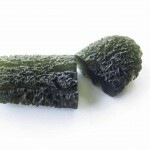 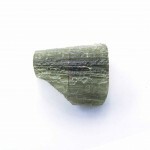 They are moldavites which probably got broken in the sediment and all its parts were recovered. 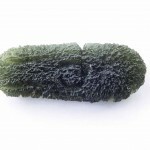 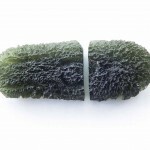 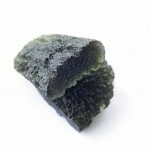 A moldavite like that is usually broken into two or three parts. 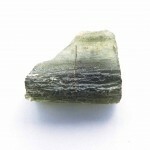 The desintegration happens most often during diageneses which is the process of “maturation”, “settling” of the sediment. 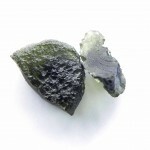 A moldavite breaks because of the pressure of upper layers. 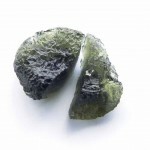 The refractive surfaces of such moldavites get corroded in time and sculptations are created. 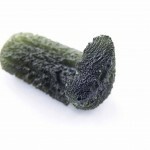 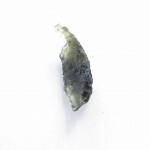 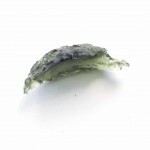 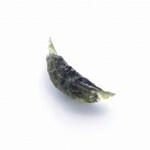 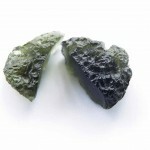 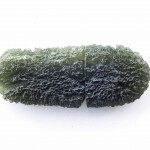 When found, such moldavite pieces are usually distant from one another only several milimeters. 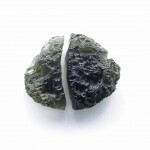 Exceptionally it is possible to put together pieces which were lying several meters apart. 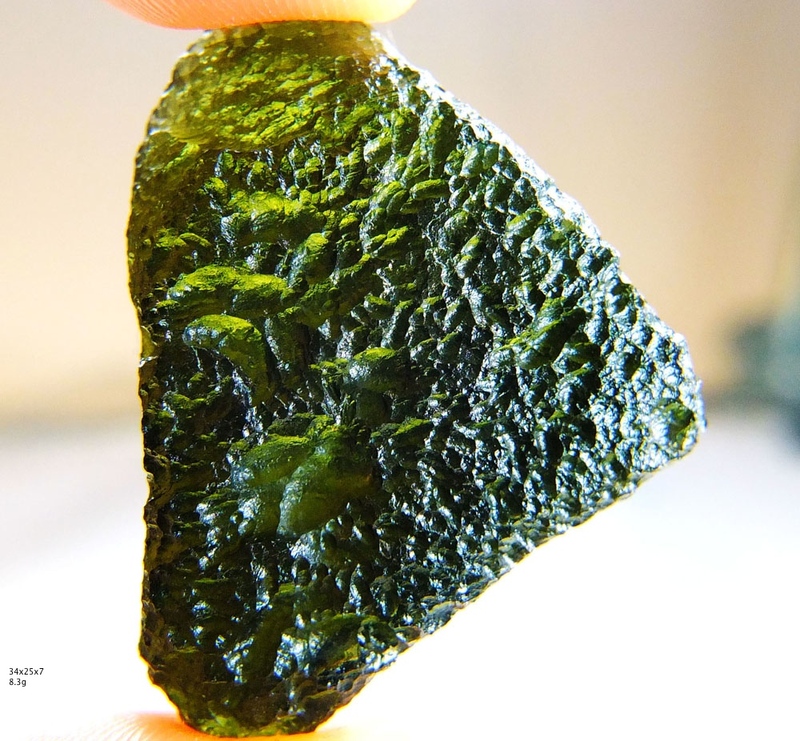 Another way such “moldavite puzzle” can be created is desintegration of a moldavite as a result of tension after removing it from sediment. 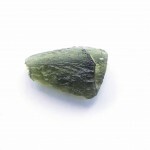 The moldavite can fall apart into many small splinters. 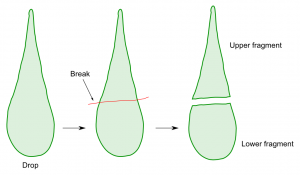 The refractive surfaces are glossy then. 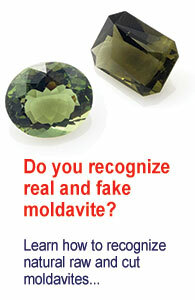 The second part of the moldavite wasn’t found. 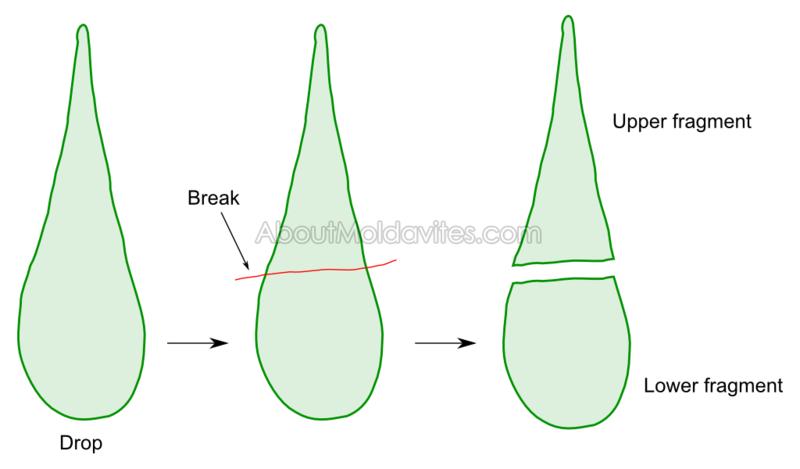 I’ts clasical partial primary shape.